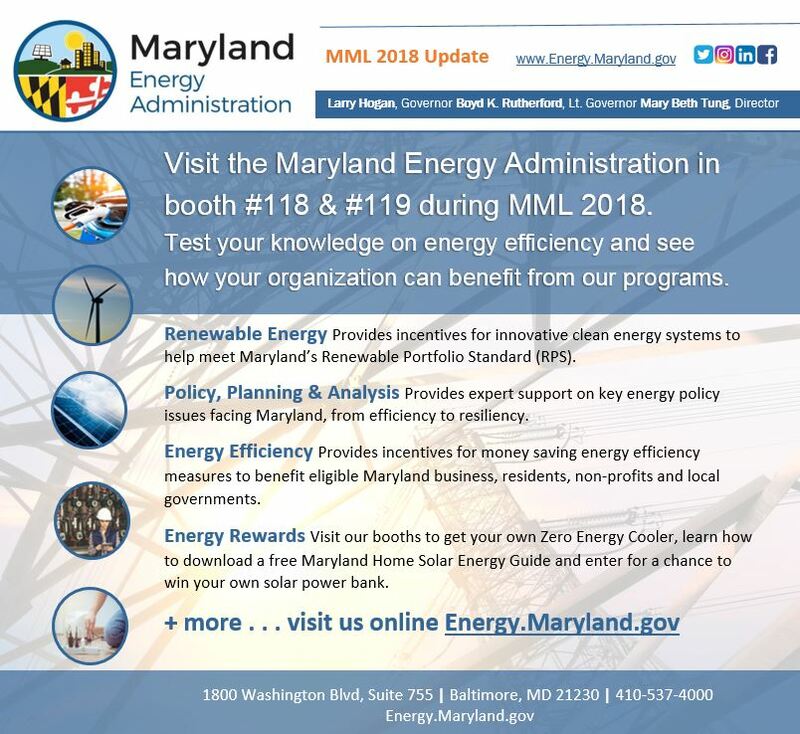 Visit the Maryland Energy Administration in booth #118 & #119 during MML 2018 in Ocean City, MD at the Ocean City Convention Center. Test your knowledge on energy efficiency and see how your organization can benefit from our programs. Renewable Energy Provides incentives for innovative clean energy systems to help meet Maryland’s Renewable Portfolio Standard (RPS). Energy Efficiency Provides incentives for money saving energy efficiency measures to benefit eligible Maryland business, residents, non-profits and local governments. 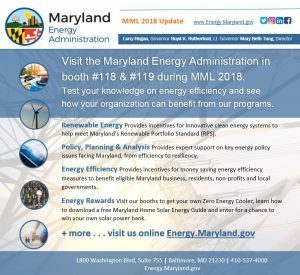 Energy Rewards Visit our booths to get your own Zero Energy Cooler, learn how to download a free Maryland Home Solar Energy Guide and enter for a chance to win your own solar power bank. 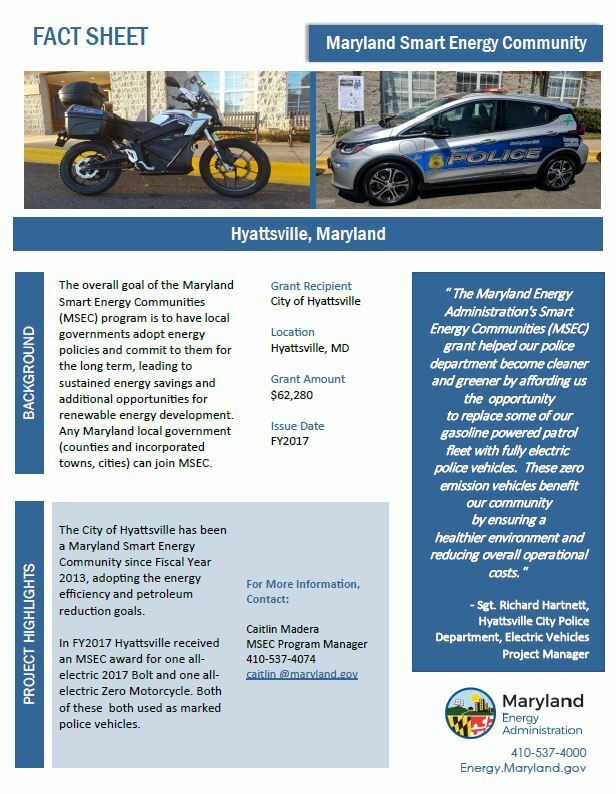 EV Car & Motorcycle See the Hyattsville Police Department’s all electric car and motorcycle made possible in part by Maryland Smart Energy Community Grants.